Don't miss the latest happenings out of White Pass, including new lifts, terrain expansions, weather, photo galleries, infographics and current events skiers and mountain travelers should know about. Stay up-to-date on White Pass news and events by clicking on articles from the list below or page through to see coverage from the entire ski season. Which ski resorts got the most snow this week? Big winners include the Southwest and Northern Rockies. Which ski resorts got the most snow this week? Big winners include the Pacific Northwest and British Columbia. Check out December 2017’s top 50 snowfall totals, as well as the top snowfall totals from Christmas Day, and see if your holiday travel plans are on target. Only a handful of resorts across North America currently hold 100-plus inches of summit base. It's more important than ever to plan your spring ski vacation accordingly. The last week of 2017 was one to remember, with some resorts posting close to 4 feet of snow in just seven days. Heavy March snowfall prompts ski resorts across the West to extend season. 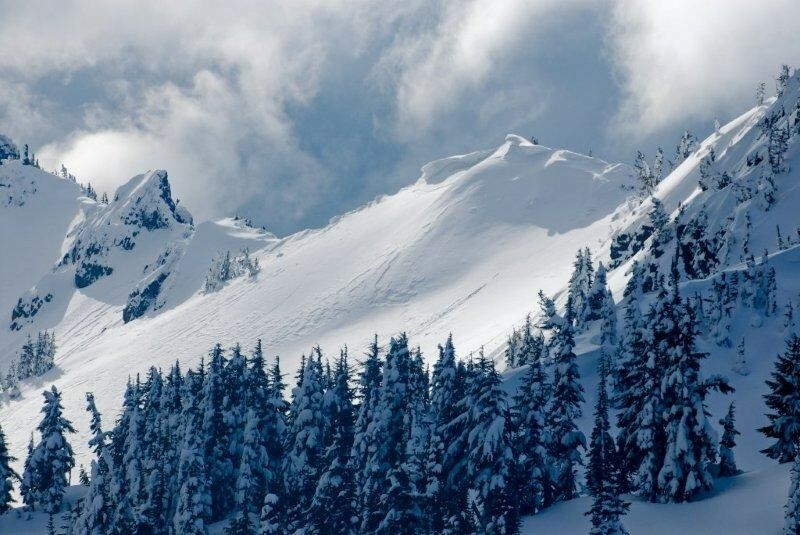 Skiers over Presidents weekend can celebrate the deep snowpack in western North America. Ski resorts across the West celebrate stellar holiday skiing with Christmas snowstorms. Check out our infographic on snow conditions across the Western U.S. and Canada to see what resorts have the best snowpack to last the season. Weekend Pineapple Express delivered the goods to some West Coast ski resorts while others saw copious amounts of the R word. Unlike the rest of the country, 2012 was a good year for skiing and snowboarding in the Far West and Pacific Northwest. White Pass Ski Area is the 2012 OnTheSnow Visitors' Choice Award winner for Best Family ski and snowboard Resort in the Pacific Northwest. Get Snow Reports, Powder Alerts & Powder Forecasts from White Pass straight to your inbox!